The pieces in this Gallery are available for sale. If one (or more) strikes your fancy, please Contact Bobbe and I'll get right back to you. 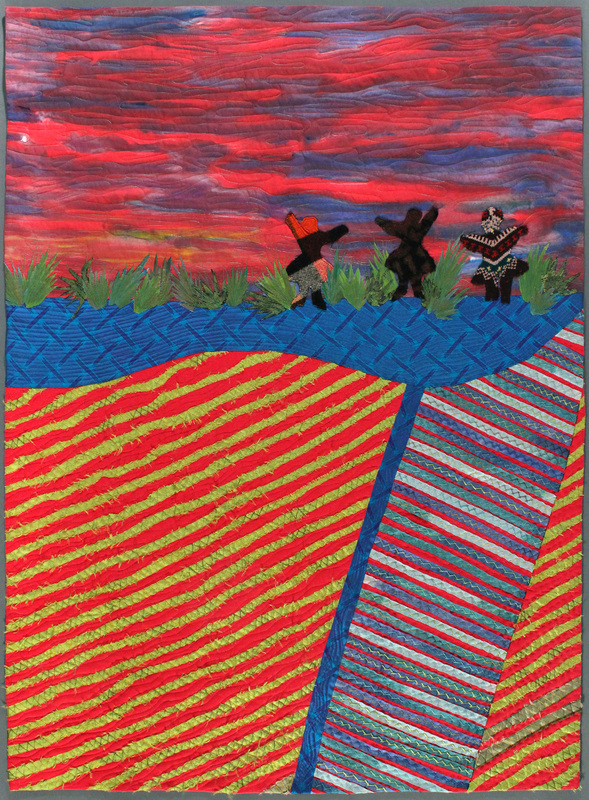 Gave Up My Woolens When I Moved to This Flat Land (2014) Against a sunset sky, knitted & felted woolen ladies dance along the edge of irrigated rice feilds. 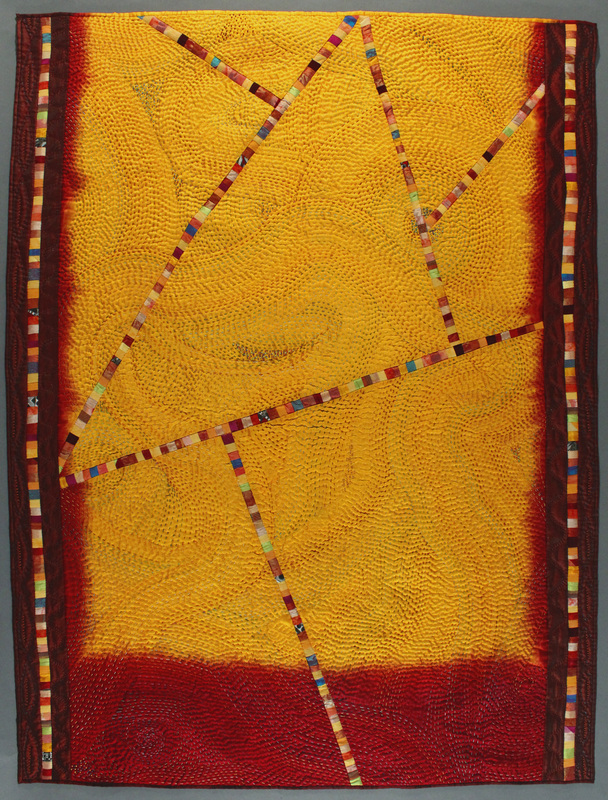 Exhibited at Sacred Threads, 2015. 53" x 39" $1300.